1400 sq ft , 8 yr old house for sale with 2 bdrms , 2 bath , laundry on main , plus 2 bdrm , 2 bath bsmt. suite with separate entrance and laundry to help with your mortgage payment . Suite currently rented for $800. mnth by excellent renter. 3 car garage , 2 furnaces . Nice size yard . 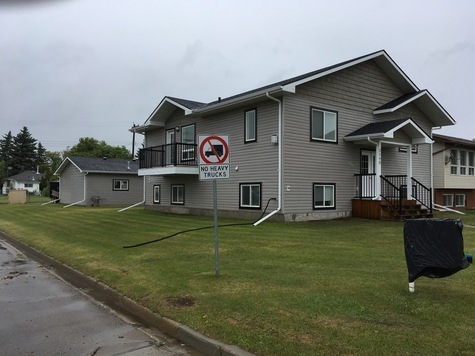 Walking distance to Tofield amenities . If interested call us for more pictures and info . May consider rent to own .